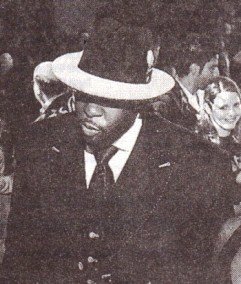 You’ve probably read about the long overdue racketeering indictment against imprisoned, deposed Detroit Mayor Kwame Kilpatrick, which was unsealed and announced late yesterday. Also indicted were Kilpatrick’s father, Bernard Kilpatrick, the former Detroit water chief, Victor Mercado, and a close friend and contractor, Bobby Ferguson. They extorted and got millions of dollars in cash, gifts, and other shakedown lucre in bribes and kickbacks from Detroit contractors, water contracts (Detroit supplies water to most suburbs in the area and you must pay what they charge), as part of their giant shakedown scheme. But another indictee, Derrick Miller, is the man whose indictment I’ve been waiting for because of his curious, close ties to Mitt Romney. In Michigan Romney campaign appearances and on Michigan’s Primary Election Night in 2008, Kwame’s right-hand man, Miller, was shown prominently on stage, celebrating with the rest of the candidate’s key supporters and family members. 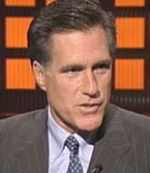 Mitt Happens: What Did Kwame the Kingpin’s Derrick Miller Get From Mitt Romney? It’s long been known that Miller, Kilpatrick’s best friend since childhood and press secretary in the Mayoral office, was the “bag man” who did the shakedowns and bribe collections for Kilpatrick. It’s something that a former Kilpatrick briber, Karl Kado, detailed in his reports to the FBI while wearing a wire and in testimony to a Federal Grand Jury investigating the Kilpatrick team over the last six years. The information on Miller demanding (on behalf of Kwame Kilpatrick) hundreds of thousands of dollars from city contractors leaked in the Detroit papers earlier in the year. But Miller’s 2008 endorsement of then-Republican Presidential candidate Mitt Romney has always been curious . . . especially to me. What’s behind it? In 2008, with Michigan as one of the first states to hold its Presidential Primary, Mitt Romney was in what seemed like a heated race with John McCain to win the state. Romney badly needed a win here to keep up momentum. 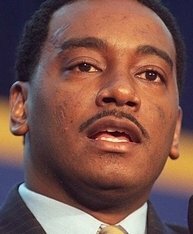 When Derrick Miller, a prominent Black man in Detroit politics, endorsed Mitt Romney, the campaign touted it like G-d, himself, had endorsed Romney. Miller, a devout liberal Democrat, had recently left his friend Kwame’s Mayoral office to start his own political and public relations consulting firm. Airhead Detroit community TV political show host and Detroit Free Press columnist, Carol Cain, frequently featured Miller on her CBS-affiliate show, gushing excessively over his every silly word. It was like watching a mad school girl crush on a teen idol. No-one could understand why Miller endorsed Mitt Romney, and on Primary Election Night, when Romney handily won the state after what was a tight race in the polls, Derrick Miller was front and center on stage with Mitt Romney and his team. Miller could never explain why he chose Romney, after being asked on TV and elsewhere. Maybe that’s because the explanation had some Benjamins in it. Since we know that Derrick Miller–as detailed in Karl Kado’s reports and in the indictment–didn’t blink unless someone bribed him, what did Derrick Miller get from the Romney campaign? Not long after that, Miller contributed to the Barack Obama Presidential campaign. Lorinda “Lori” Packer Wortz and Suzanne Miller-Allen, moderate Republican sleazebags, are the two biggest money-grubbing frauds in the Michigan Republican establishment. And THEY ran Mitt Romney’s campaign. The women are also the most conniving in the Michigan Republican establishment, and with few exceptions, most of the campaigns they run, lose. The two women, who on and off have recently been among the highest paid employees of the Michigan Legislature (and always employed by Republicans), were then working as political consultants. Miller-Allen is married to Michigan State Senator Jason Allen (who might as well be Jason Miller-Allen, since he is the chick in the relationship and his wife is the Republican Hillary Clinton, although far more butch than Hillary). Suzanne Miller-Allen, just before working for Romney, made well over $100,000 a year working for the Michigan Republicans in the legislature. Like the “Civic Fund” cited in the indictment against Kilpatrick and his crew, Miller-Allen and her State Senator hubby run a slush fund, whose political donors they refuse to disclose. Miller-Allen’s husband took money from Manuel “Matty Moroun, the Lebanese Detroiter who owns the only bridge from Detroit to Canada, in exchange for helping block the State of Michigan and Canada from building a second, competing bridge. The sleazy Wortz is currently one of five directors of Michigan Governor-Elect Rick Snyder’s Transition Team, so that should give you an idea of what an insider and establishment politics-as-usual guy he will be, despite his campaign ads to the contrary. What were Lori Wortz’s and Suzanne Miller-Allen’s roles in getting Derrick Miller to endorse Mitt Romney? What did they promise him? Did money change hands? What exactly did they do to get Black liberal Democrat Miller to openly embrace and endorse the only Republican he’s ever supported and recruit him to the Romney Michigan team? Like I said, Derrick Miller didn’t blink unless you paid him off to do it. So what did the Mitt Romney campaign and Ms. Wortz and Ms. Miller-Allen do for Derrick Miller? What did they give him? Old leopards don’t change their spots. And Kwame Kilpatrick’s liberal Democrat bribery solicitor and bag man didn’t just endorse Mitt Romney for the heck of it. There are serious questions here. And Mitt Romney–and Wortz and Miller-Allen–must be called to the mat. He does it for the good of his wallet. What did the Romney people put in that wallet? Ugliness all around. The problem with politics is that the ideals we embrace and tie to the candidates of our preferred party of ‘ideals’ seldom run parellel to each other. We all cheer: “Yeah, we have a ‘conservative’ governor! “Sadly the glowing ideal-label hides the ugly machinery underneath. It shows up later, when it’s too late to make a change. Debbie: is it criminal to receive cash in exchange for political endorsements? If so, wouldn’t Miller-Allen, Wortz, and Romeny himself be just a wee bit concerned about how this all might shake out as Derrick Martin tries to save himself from a long sentence? Romney is obviously a bigger idiot than anyone thought before. He probably thought giving that guy a job would show how INCLUSIVE the new republican party is. And unfortunately, there are some gullible conservative talk show host who want Mitt Romney to run for the presidency against Obama, but I dare some the right-leaning talk show host bring this story up what Debbie wrote on this site! I kinda doubt it that some of the conservative talk show host will ever bring this up, some of them are no different than the liberal talk show host on television and a few on radio (ie, Mike Malloy, even though he’s a leftist nutjob probably on medication who urinates on hiself every night on his failed talk show!). Mitt, dude, you tanked last time so step aside, STFU and let someone else run for President. Frankly I believe Mitt is unelectable because of his religion. A lot of people look at the Mormon’s as a cult,Chris Hitchens has an interesting article in the Atlantic about this. You could probably insert any candidates name in place of Romney or Kilpatrick and find the same amount of dirt. If Romney tries to run again this could be ammunition against his campaign. Lets dig deeper for the real dirt on Obama and use it against him in 2012. Ugh, I want Flip Flopney to go away. Kilpatrick’s bag man endorsed him because he knows Mitt is very much a Liberal. I know lots of dopey Dems prolly thought he was the devil incarnate to endorse a (gasp!) Republican, but we all know how uninformed Dems are these days…especially when it comes to Conservatives. How’s old Flip gonna deal with that huckster Huckaphoney this time? Gosh, all these fake effen’ RINOS is all the Conservatives have after two HORRIBLE years of MaObama??! PATHETIC! As far as his religion goes, yeah, Mormonism is a bit strange, but I do take umbrage at those who get hung up on it. Freedom of religion is what we are supposed to be all about. I do understand when “serious” Christians refute Mormonism, but at the end of the day, the religion does not other me. I’m more bothered by Islam. Maybe Romney promised him a pardon. Bah. Romney. He’d be better than Sarah Palin, but still… bah. Isn’t there any way we can persuade Bobby Jindal to run in 2012?